Deborra's education in Theatrical Production began when she was a Springdale High School GATE student involved in a Theatre Arts Apprenticeship at Pittsburgh Public Theatre in 1985. She honed her interest in Lighting Design at Edinboro University of Pennsylvania, where she was a Theatre Minor and the Workstudy Theatre Manager. At Edinboro, Deborra Majored in English Literature and Creative Writing, studied much Shakespeare and participated as an Actor in the 1989 Actor's Theatre Festival at Penn State. Post-graduation, Deborra designed in many summer-stock and community theatres, and taught a theatre practicum at Chatham University in 1991. 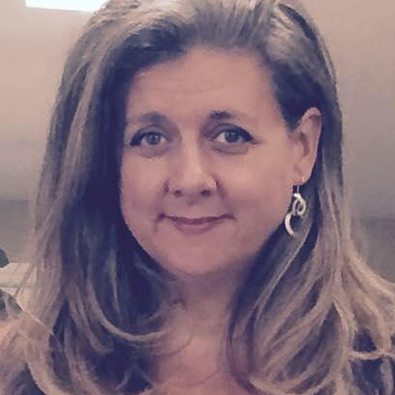 She served as a Designer and Assistant Designer for the Three River's Shakespeare Festival for the University of Pittsburgh in 1992 and 1993, and was awarded an academic scholarship and Graduate Student Assistantship in Lighting Design, completing her MA in Theatre Production at Pitt in 1994. The same year, Deborra became a member of IATSE Local 3, Pittsburgh Stagehands Union. With the Stagehands, Deborra served as Apprentice Committee Chairperson from 2000-2003, scheduling classes in Lighting, Sound, Carpentry, Safety, Rigging, Stewardship and History for over 50 new apprentices. She has also researched the 120 year history of Pittsburgh Stagehands, and plans to someday compile that rich history into a book. Deborra has been a Stagehand and Lighting Designer for over 20 years.